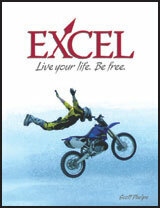 Excel, the faith-based abstinence curriculum for grades 9-12, is a Bible study resource for churches, Christian schools, and pregnancy centers. Students follow the biblical account of Joseph (Genesis 37-50) as he resists pressure toward sexual activity to accomplish all that God has prepared for him. Leader’s Guide includes Resource CD with Power Point and DVD.